Move over Kylie Jenner and "Ask Kylie" Snapchat reality show by E! As New York Fashion Week kicked off yesterday with Tom Ford's fashion show and Kim Kardashian West's new hairdo,"Nail The Look" Snapchat fashion show premiered on the platform, with a celebrity stylist Sophie Lopez as a host. The new Snapchat reality show features two aspiring stylists competing against each other to create a perfect fashion look. The show will air every Thursday for the next eight weeks, and will see the stylists putting together outfits based on a new theme every episode, from a job interview to an outdoor music festival, starting with a streetwear look for New York Fashion Week. Produced by a newly formed digital division of a TV production company B17 Entertainment - Thumb Candy Media - the show follows the launch of other original series on Snapchat, including "Ask Kylie" by E! and NBC News' ‘Stay Tuned,’ a twice-daily Snapchat news show. With renowned TV producers Rhett Bachner and Brien Meagher on the team (they produced many popular shows including ABC’s Emmy-nominated "Shark Tank" and AMC’s "The Pitch" to name a few), the show is off to a great start. “Snapchat understood the power of mobile from a programming perspective and was willing to take chances on a variety of content and formats,” Rhett Bachner said about the show's launch. "We’re firm believers in the platform." Brian Meagher added: "As producers, we go where the eyeballs are. And right now, all eyeballs are on Snapchat." 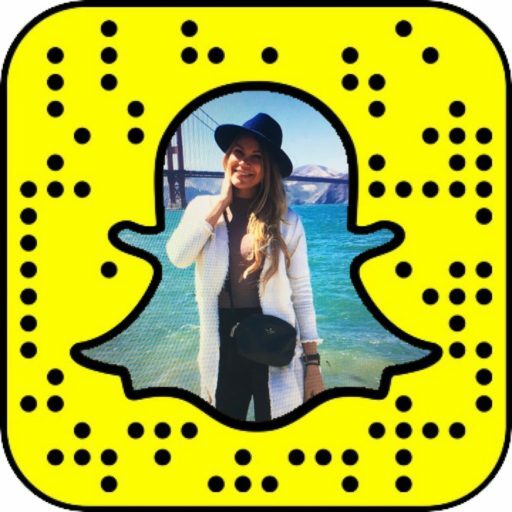 The new Snapchat fashion show is available in Snapchat Discover, and Snapchat plans to have as many as three shows airing per day by the end of the year. According to Snapchat, 75% of daily viewers of the original shows on Snapchat are young people aged of 13-24, and the shows' views have been peaking: second season of NBC's "The Voice" on Snapchat, for example, has grown by 45% in comparison to the first season. While Netflix and Amazon studios are investing in original shows on TV and web, Snapchat is set to take over on mobile, grabbing attention of the most wanted audience for brands - millennials.